Pioneers in the industry, we offer Rice, Potato, Palm Olien, Onion, Flowers and A4 Copy Papers from India. we are offering an excellent collection of A4 Copier Papers. Our range of Product is widely used in Offices, Institutes, colleges and other Bank sectors. Besides, being processed using well-tested raw material, our offered paper is tested on various parameters of Quality. Packaging Details: 500 Sheets per Ream. The best thing about our Aluminium Scrap is that it has very high aluminum content. Moreover, it is well processed and therefore, is the perfect option on which buyers can easily rely. We are one of the leading Exporters and Suppliers of Aluminium Scrap. A3 Copy Paper that we offer is ecofriendly and therefore, is safe to use. We are listed among the top Exporters and Suppliers of A3 Copy Paper. It is procured from the trusted sources of the market. When it comes to delivery, we always deliver A3 Copy Paper on time to have an edge over our competitors. Paper Sheet that we offer is made using environment friendly material and the latest techniques at our vendors’ end. We are reckoned among the reputed Exporters and Suppliers of Paper Sheet. We are capable of delivering orders for Paper Sheet within the promised time frame. Well-checked Single Color Socks are available with us! We share glorious credentials in the list of top Exporters and Suppliers of Single Color Socks. We procure Single Color Socks only from those vendors who make them under the strict vigilance of experts. We deal in Indian Rice of different types. 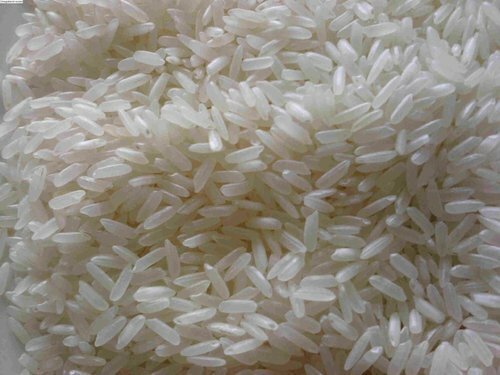 Our range of Indian Rice includes Basmati Rice and Non Basmati Rice. The name of our company surfaces prominently among the trusted Exporters and Suppliers of Indian Rice. Purity, unadulterated nature, longer shelf life and high nutritional value are the few words that can be used for our Indian Rice. We bring forth an exclusive collection of Menswear that includes Men’s Jeans . The company is the trustworthy Exporter and Supplier of an impressive collection of Menswear in Tamil Nadu, India. Indian Spices that we offer are widely used for enhancing the flavor and aroma of various cuisines. We offer excellent quality Black Pepper Seeds and Dried Red Chilli. Indian Spices that we export and supply are sourced from the trustworthy cultivators or vendors present in the market. With our vast industrial experience, we have become one of the fastest growing companies, offering the best quality Match Boxes! Available with us in several grades and specifications, our Match Boxes are of unmatched standards. We make available Fresh Vegetables in different varieties such as Fresh Onion, Fresh Garlic and Fresh Potato. We share glorious credentials in the list of top Exporters and Suppliers of Fresh Vegetables.